Zenith High School Ankleshwar Recruitment : For Shikshan Sahayak Posts. This blog is available on a daily basis in primary school circular, educational news, breaking news, all goverments and private jobs, new techno tips, insurance, loans, new mobile tips and all competitive exams, most certified model paper, old paper, IMP literature and most of the GPSC Exam Content ... like TET, TAT, HTAT, Police Constable Recruitment, GSSSB Clark, Talati and other exams. Visit Gkexam every day for the latest offers of various brands and other technology updates. 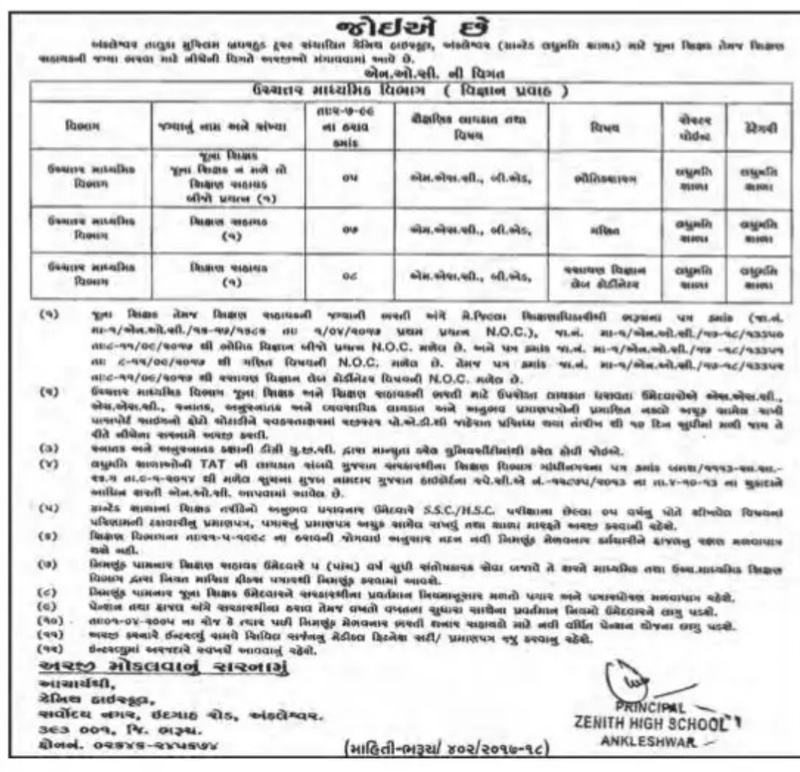 Zenith High School Ankleshwar Recruitment : For Shikshan Sahayak Posts. Zenith High School Ankleshwar Shikshan Sahayak Recruitment 2017 – The Zenith High School Ankleshwar has published notification of Shikshan Sahayak Posts. for more details are given below.